In addition to our production test and engineering capabilities, we also offer our expertise and facilities to help with your existing product improvement. You may already have a product developed and not need our engineering or manufacturing services, but require additional help debugging reliability issues, specialist test equipment, high power supply and loads, assistance with EMC and safety qualification. 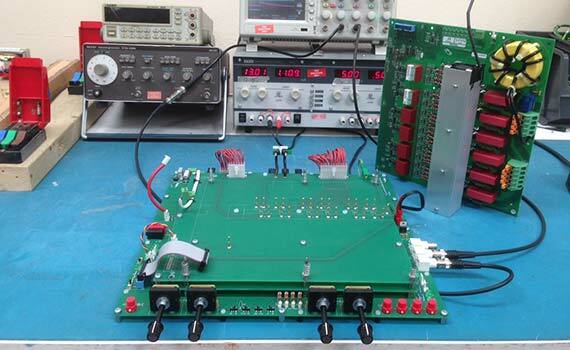 We can assist in all aspects of test from PCB level to high power full systems. EMC and safety requirements is a core aspect of our engineering product development, giving us many years experience . We have our own pre-compliance EMC test equipment which gives us the capability to test both single phase and 3 phase supplied systems. 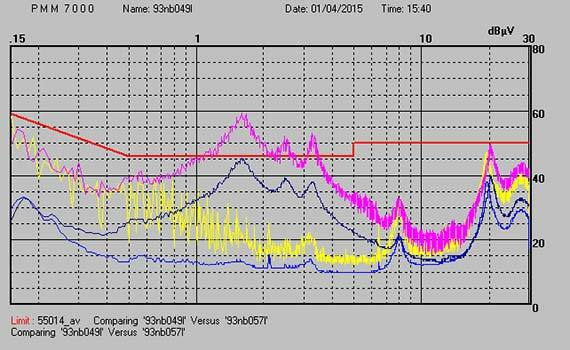 We can carry out pre-compliance mains harmonics and conducted RF measurements on site. Other types of qualification testing and full compliance measurements can be carried out at a local test house. We also offer our EMC expertise and testing capability to assist customers with existing product EMC compliance problems. We can advise, develop and test at a cost effective pre –compliance level, to find a workable solution for your product that will eventually pass a full compliance test at an official test house. 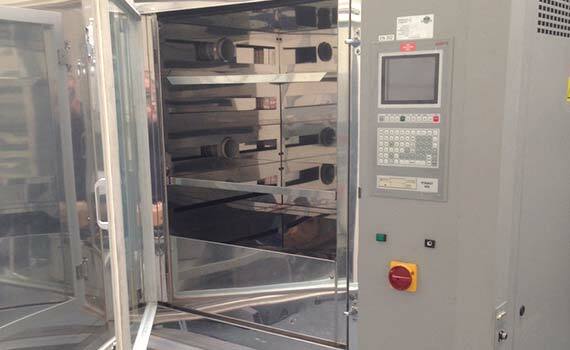 We have our own environmental chamber (capable of temperatures between -40˚C and +180˚C and Humidity between 30 and 98%) and can offer our ability to test your system over a range of extremes in terms of ambient temperatures and humidity, as well as thermal cycling accelerated life. 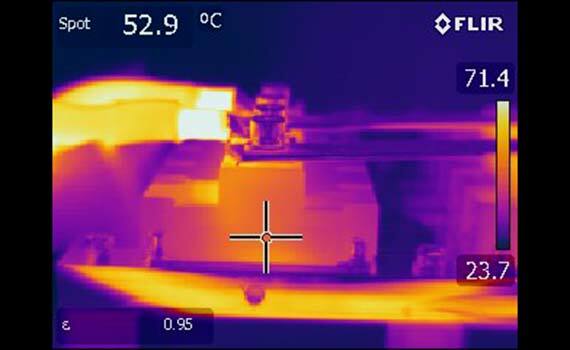 We also have a range of temperature monitoring and logging equipment as well as a state of the art thermal imaging camera, allowing us to conduct full thermal analysis of all components within a system. We have various load banks , resistors, inductors and transformers capable of taking high current levels (many 100’s of Amps) for prolonged periods allowing high current testing/burn in for anything from power stack sub assembles to full system load. Our High power test area has a 160A 3 phase supply capable of supplying in excess of 100kW direct off the mains. We also have a 96A (108A max) 3 phase variac which can be used to adjust the supply to any level required, for products requiring different supply voltages or for testing mains voltage related features, like under voltage, grid disconnection criteria etc. 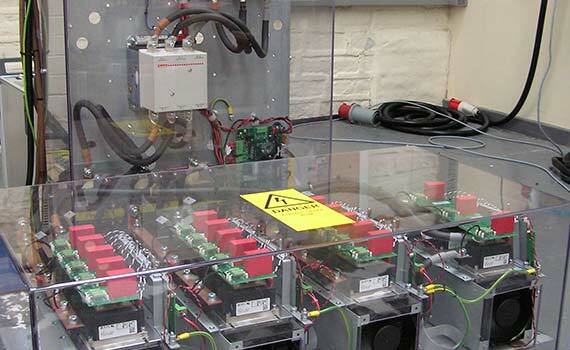 With a well equipped lab and test area we are able to test anything from PCB level functionality (including embedded control software and serial communications) through to fully functional final systems. Our flexible engineering and test staff can adapt quickly to any scenario for testing one off prototype systems, whereas dedicated bed of nails PCB test jigs are designed to ease volume production testing (dependent on required throughput).